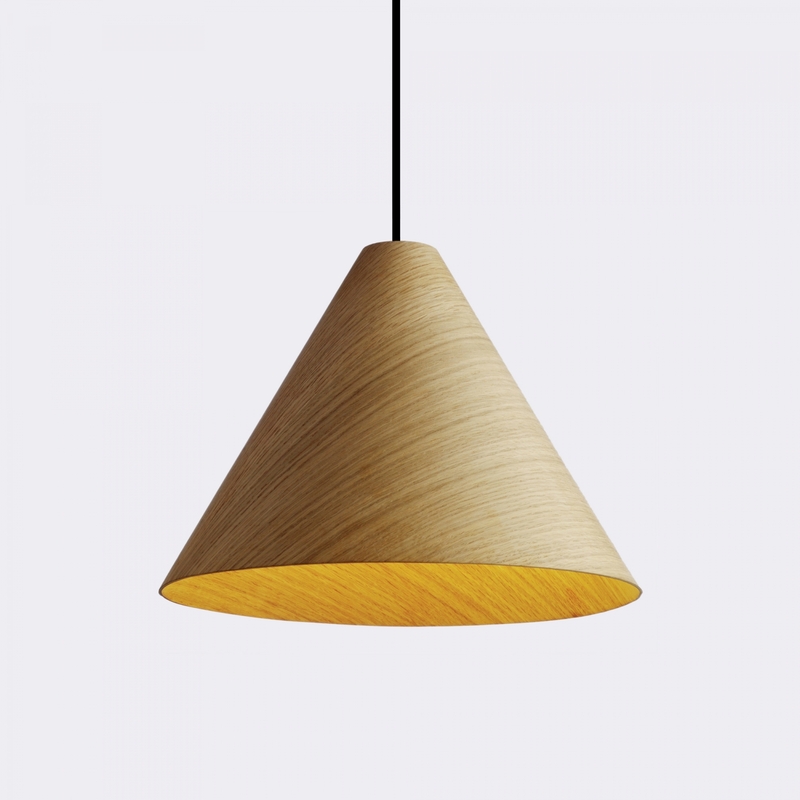 30degree is a lightweight shade made of laminated oak veneer. The seamless surface is achieved by aligning the ends of semicircular veneer sheets at a 30degree angle, so the inside cone and internal angle is always 30 degrees. 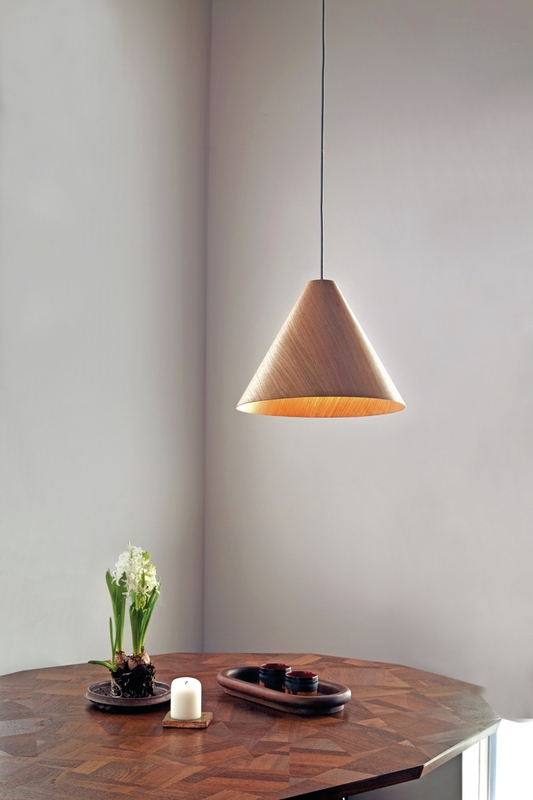 The layering of the conical veneer creates a solid shade that is opaque and characterized by its harmonious woodgrain pattern. 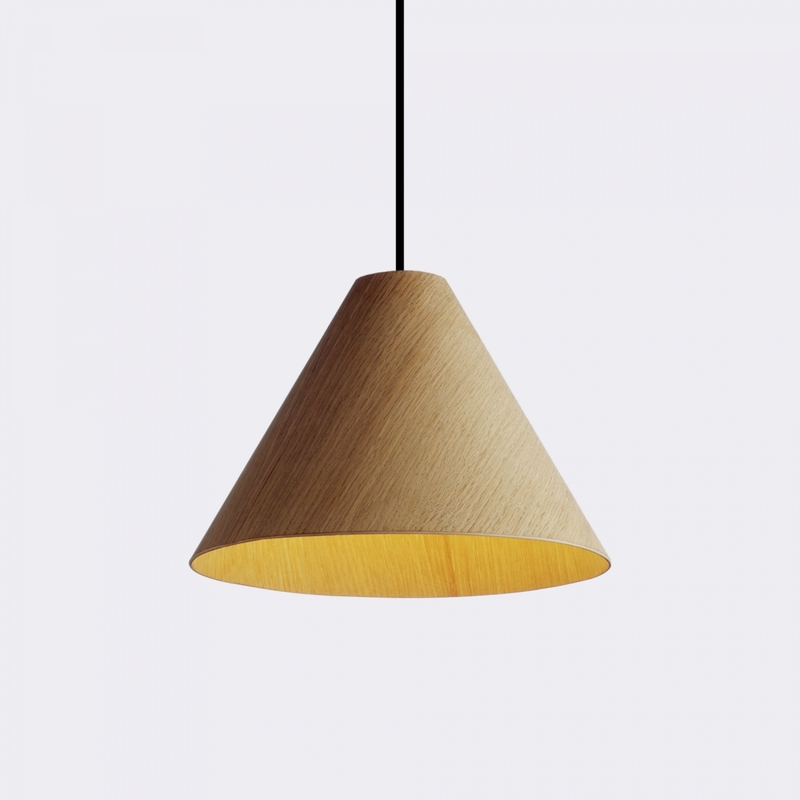 Rich in tactility, the series express a natural elegant aesthetic. All shades are sealed with a matt lacquer and supplied with a molded locater fitting, which levels and supports the shade when suspended. Johan van Hengel is a furniture and product designer based in Rotterdam, the Netherlands. Within his work he searches for subtle surprises by redefining form, materials and production techniques or by creating new contexts for familiar objects. Underpinning his approach to design is an ethos to create simple, elegant and useful products that become relevant additions to the living environment. Green - OBS : KUN SKJERM PÅ DETTE TILBUDSPRODUKTET!